At DigitallyDownloaded.net we like to keep an eye on Australian game developers and projects as they spring up. One that's been in development for quite some time now is Pico Tanks. The first project of a new developer, called Panda Arcade, Pico Tanks is set to be a free-to-play mobile title with a lot of potential. It's cute, it's charming, and while Panda Arcade is a new developer, the team behind it is not (and as Aussie indies go, it's a rather large team at seven and counting). We had a sit down with the co-founder of Panda Arcade, Paul Jakovich to talk about the hopes that the team has for their project, why the decided to go down the free-to-play mobile route, and what players can expect from the game when it launches early on in 2019. Moshe R: Can you start by telling us about Panda Arcade and what it does/you do? Paul J: Panda Arcade is a new indie game studio based in Melbourne, Australia. We established Panda Arcade because we love games and what could be more fun than making our own? We’re developing our first title - Pico Tanks - which is a casual but competitive team based multiplayer mobile game. We’re currently a team of seven but we’re always looking for new talented people to welcome aboard. We’re working hard at making Pico Tanks the best game we can... but not too hard; we play games together every lunch, after work and sometimes on weekends. I personally direct and oversee the project and when I get time I contribute mainly as a programmer. Moshe R: I have seen Pico Tanks twice now, a year ago and more recently. I found it highly entertaining and really liked its looks. As a tank veteran, starting with Combat on the Atari 2600 and ending with World of Tanks, I do wonder: What made you decide to develop a tank fighting game? 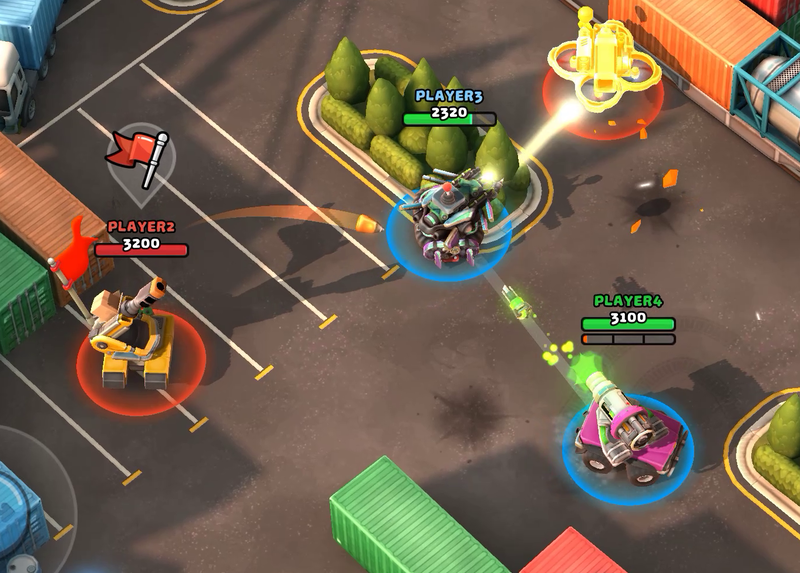 Paul J: After our success with Torque Burnout (25 million downloads) at League of Monkeys, we wanted to develop a game that appealed to a wider audience and the idea of controlling Micro Machine proportioned combat vehicles in team based combat was too good not to make. 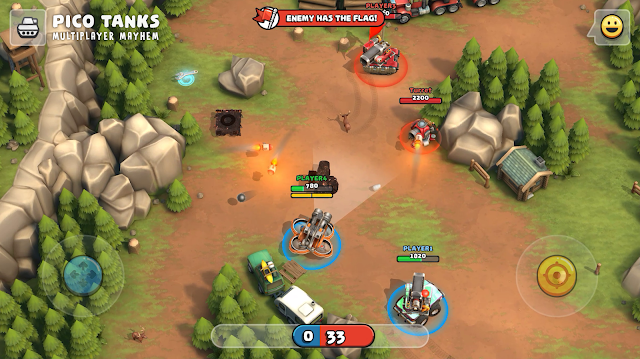 There are similar games to Pico Tanks but nothing that comes close to what we’re trying to achieve. Moshe R: What can you tell us about Pico Tanks’ development? When are we going to see it? Paul J: Pico Tanks was originally going to be an endless runner with similar combat, vehicle upgrades and abilities. We decided to switch to multiplayer early in development to help Pico Tanks stand out from the waves of apps released every week. 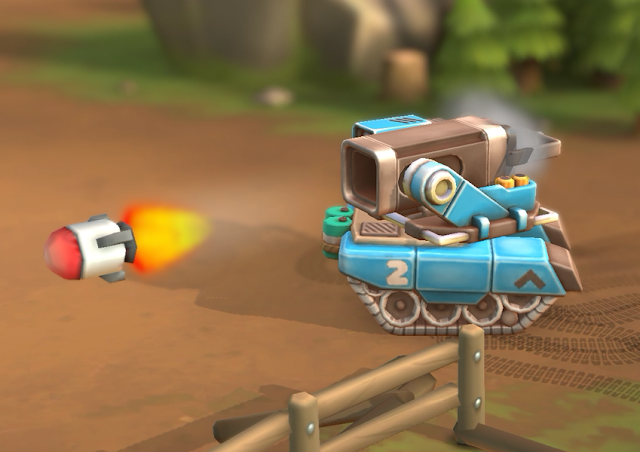 Pico Tanks is now over two years into development, and it’s so close to becoming the captivating game we set out to create and the feedback from early players and industry professionals has been extremely positive. The team is targeting a soft launch in the first quarter of 2019. Moshe R: I understand you have decided to offer Pico Tanks as a freemium app. What factors affected your decision? Paul J: Since Pico Tanks is multiplayer we need as many people playing as possible to assure quick and fair matchmaking. We wish the premium model was a viable option but very few mobile games that go down that path are successful. Moshe R: How are you going to tempt players to spend money on your game? For example, while trying Pico Tanks, I couldn’t avoid noticing it let me decorate my tank with a toilet seat. I could be holding the minority opinion here, but I would argue a toilet seat tank customisation is well worth an in app purchase. Paul J: Most important to us is to make every unlockable item in Pico Tanks irresistible; like a toilet seat where the lid flaps about as you drive or a weapon that’s so fun to use you can’t live without it. There is also a careful balance that considers a lot of factors like giving the player enough new content so that they feel like they're progressing without destroying the desire to make IAP’s. Moshe R: How are you going to make sure Pico Tanks remains a balanced game in an environment where some players spend money and some don’t? Paul J: Players will have a Battle Rank (skill rank) which is based on a number of factors but mostly on an individual's win/loss rate. 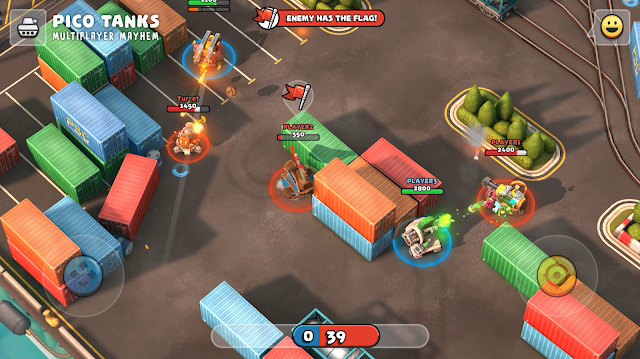 A player that spends money can accelerate the unlocking and upgrading of items. This will give them a slight advantage until their Battle Rank increases and they’re again playing against players of equivalent progress and skill. Another thing I’d like to mention is that unlocks that are available later in the game aren’t any more powerful than early game unlocks that have been upgraded to the same level. This ensures everyone can play together regardless of their progress. Moshe R: Is there going to be a single player mode of Pico Tanks, or will you be following the tradition set by the aforementioned Combat and World of Tanks? Paul J: We hope to add a mode that can be played solo or multiplayer where you defend a base against waves of enemies similar to Horde mode from Gears of War or Survival mode in Call of Duty. This is not a priority at the moment but it is definitely something we’re experimenting with. Moshe R: How do you see Panda Arcade’s future after Pico Tanks’ release? Where to from there? Paul J: Depending on the success of Pico Tanks we will hopefully be adding awesome new content for years to come, we have so much planned! We would also love to start development of one of the many other game ideas our team has. Moshe R: What is your advice for people who dream of doing what you are doing, develop a game on their own? Paul J: Learn by doing. Set achievable/realistic goals. Surround yourself with people who you aspire to be like and inspire you, whether that be physically or by following them online. Network, knowing the right people will make finding help or getting a job much easier. Finding a balance between playing games and making them is tough, if you’re really passionate about one you’re likely passionate about the other so… good luck. Moshe R: What games have you played recently that would you recommend, and why? Paul J: We’re still playing Overwatch, it never gets old because there are so many different characters to explore. We’re all also deep into the world of Red Dead Redemption 2 and loving it, what can I say, the quality and depth of this game is astounding.